10/02/11 Freeman of the Borough! 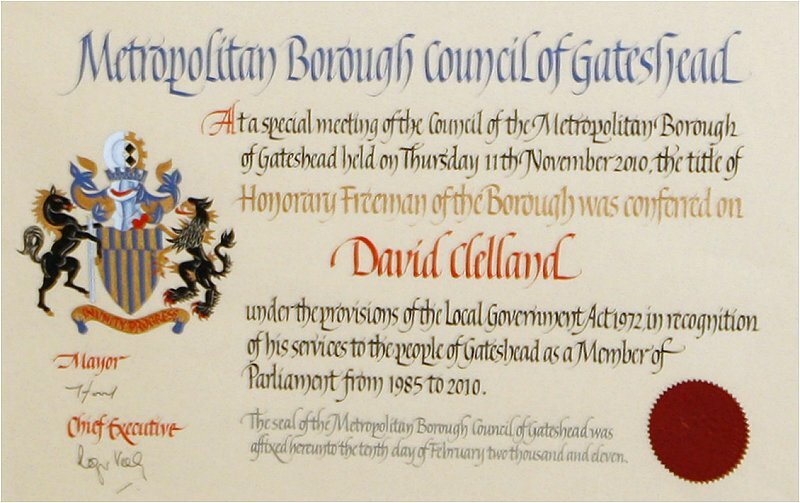 David is a freeman of Gateshead. He was honoured at a ceremony in the town in February 2011, three months after the decision was taken by the Council of Gateshead to make the award in November 2010. The honorary freedom is in recognition of his years of service to Gateshead, the town where he grew up, particularly as Member of Parliament. 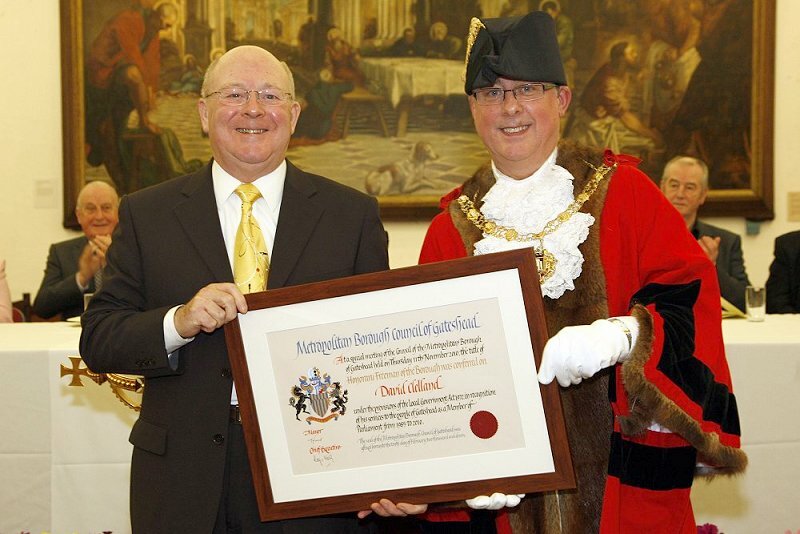 David received his Charter from the Mayor of Gateshead, Cllr Michael Hood. Such an occasion demands a speech. David spoke of his love for Gateshead, his family roots and recounted one or two stories, including from his time as Leader of the council. Mr Mayor, Mayoress, fellow freemen, distinguished guests, ladies and gentlemen. First can I thank the Leader of the Council, the Deputy Leader and the Leader of the opposition for their kind words. To say that this is an honour for me is an under-statement of some magnitude! And I am very pleased to be joined here today by members of my family and my wife Brenda - who has been the wind beneath my wings throughout my time in Parliament. As a child, Saltwell Park was my back garden, as I lived out my childhood in a Tyneside flat on Avenue road only 6 doors from the Park Gates. In those early days I used to spend all day in the park with nothing but a bottle of water and a jam sandwich. Now I suppose I can graze my sheep there. Its been both a privilege and an honour to be able to serve the people of Gateshead for so long, first as councillor and then as one of its Members of Parliament. I'm proud, and count myself fortunate, to have lived in Gateshead all my life. My mother and father were born and brought up here, I was born and brought up here and my own children were born and brought up here, as have two of my four grandchildren. (3 of who are here today) And all within the boundaries of the council wards or parliamentary constituency I represented. I've been lucky enough to have travelled to many places in the world over my life, and seen some amazing sights, but Gateshead has always been my home, the place I want to come back to. One of my local heroes (pun intended) is Mark Knopfler of Dire Straits. I saw a recent interview with Mark - who has never let fame and fortune go to his head - when he said, "I've travelled the world, but I knew where I was from. It all comes back to who you are as a little person and that still influences what I do". I am a product of Gateshead and proud to have been able to be part of its renaissance and its emergence from the shadow of Newcastle. Whenever I am asked where I am from, I say Gateshead. In the past you would invariable have to follow that by saying - near Newcastle. But not any more. I've seen Gateshead change and evolve, from the difficult post-war period to a vibrant, diverse, buzzing community on the brink of city status. A community that knows where it is going - and that way is up, a place where people want to live to work and increasingly to visit. And a place that is known throughout the world. There is much yet to do of course, not least in the provision of more decent housing for our citizens and the redevelopment of the town centre. But, despite current difficulties, I am confident that my colleagues on Gateshead council will continue to make progress on these and other issues as and when circumstances allow. There have been some sad moments and some amusing moments. And some sad moments that are amusing looking back on them. As chairman of the Parks and Recreation committee I was always keen that our facilities should be widely available and not exclusive. That is why our leisure centres and other public buildings are not just for the sportsmen or fitness fanatics but for everyone. And that philosophy applied to Gateshead Stadium as well. And when the press turned up to interview someone for a public explanation, and virtual flogging, I was the one who had to stand before the cameras. At this point I should mention that in those days whenever the television cameras showed up it was generally Brendan Foster - who I am pleased to see here today - or Bill Collins the then Leader of the council who did the interviews and broadcast the usually good news. On this occasion, for some unknown reason, they were both out of the country. So it was left to me to do the explaining. I argued that it had been a great success, despite the loss, and all who turned up had a great time. And I insisted it was also a success because it had proved Gateshead Stadium was a great venue for pop concerts - and that would be born out in the course of time - which as we all know now it was, several times over. But I'll always remember the interview with Tyne Tees Television - which was done at the Stadium with a back drop of the stage being dismantled - and watching it on TV that night as the scene faded out to the tune of, 'Its my party and I'll cry if I want to'. And I also had my critics for elements of the 'art in public places' programme that we introduced in Gateshead early in my time as Leader of the council. If you've ever wondered who on earth was responsible for that sculpture outside the Northern Rock on West Street - look no further! In my defence, I think the 'hare and the tortoise' theme says much about Gateshead - it's a solid piece of work, and we Gateshead citizens are solid too; its pretty uncompromising - and yes, we can be that. But mostly it says, persevere, do the work, ignore the flash harries over the river - and we'll get there in the end. My Aunty Edie on the other hand - an astute observer of life and who will be 105 this month - believes it says to passing shoppers, 'yee dare gan to Newcastle'. But it is that programme - 'Art in public places' - sold to me by my good friend and colleague the late Fred Johnson, chairman of Libraries and Arts committee - and the new thinking it provoked, that followed on from our success in sports and led Gateshead's cultural renaissance that has given us the Millennium Bridge, The Sage Gateshead and the Angel of the North. Mr Mayor, I am forever grateful for the chance to have been a part of the Gateshead family and for the lasting friendships I have made over the years. And I gratefully accept the honour of becoming a Freeman of Gateshead. I will carry the title with great pride, and undertake to continue to promote Gateshead, whatever I do and wherever I go. But wherever I do go, I will always come home to Gateshead. 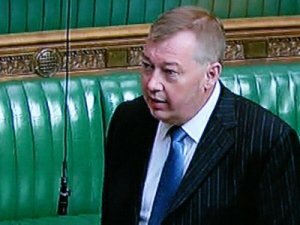 Ian Mearns, MP for the new constituency of Gateshead, paid a fulsome tribute to David in his maiden speech. He remembered the 'great passion' that David devoted to his work on behalf of Tyne Bridge and especially his home town of Gateshead and praised David's contribution to making Gateshead 'an even better place to live'. "It is with enormous pride that I stand here, honoured to represent the people of my home town, Gateshead, where I have lived for more than 30 years. In doing so, I am conscious of the fact that I follow in the footsteps of a formidable predecessor, David Clelland, the former MP for Tyne Bridge, whose constituency formed half the new constituency of Gateshead. The other half of the constituency was represented in the previous Parliament by my hon. Friend the Member for Washington and Sunderland West (Mrs Hodgson), who, I am glad to say, is still with us. 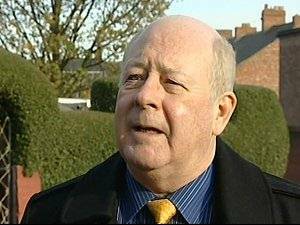 "David Clelland was not only an excellent representative of the people of the Tyne Bridge constituency and a first-class Member; he was and remains a personal friend. Having worked with David for more years than I care to remember, first as Labour party colleagues, subsequently together as councillors and, most recently, he as MP and I as deputy leader of Gateshead council, I know all too well the great passion that David has always devoted to representing the people of Tyne Bridge and, in particular, Gateshead. David would be the first to say that his work was both an honour and a privilege. However, I want to place on the record my gratitude and that of the people of Gateshead for David's contribution, both as a councillor and as a Member of Parliament, to making Gateshead an even better place to live." The full text of Ian's maiden speech can be read here. David has revealed how his last year as an MP was blighted by threats and innuendo over expenses. And yet he was completely exonerated and found to be totally guilt free. Yet this unfounded slur threatens to overshadow the many years of good work for Tyne Bridge and the region, especially in the area of transport, that David has given. "The last 12 months have been the worst in Parliament. A lot of people were caught up, including myself, and had to suffer months of prejudice, suggestions of wrongdoing, threats, emails and letters - only to find we are exonerated by a High Court judge. "It has been very unpleasant for MPs' families as well. Some MPs have children going to schools and wives who have to go to work. "It has been a very bad period and I think some of the consequences of it are going to play out for quite some time in terms of the effectiveness of MPs. "Cutting the office allowances for MPs will mean a lower standard of service for constituents. There is a feeling that people are going to be looking over MPs' shoulders all the time looking for something to criticise rather than encourage people to get on with the job. "In my view the changes are for the worse quite frankly. I am leaving so it won't affect me. I am proud to have represented the Tyne Bridge constituency because it's the area where I was born and bred. It has been a great privilege and strength because when I come down here, I can feel I am a genuine voice for my constituency. When Tyne Bridge goes, I go with it." "But those MPs who will be serving in the next parliament will find themselves dictated to by quangos and civil servants and will have less authority to represent their constituents which cannot be good for democracy in my view." 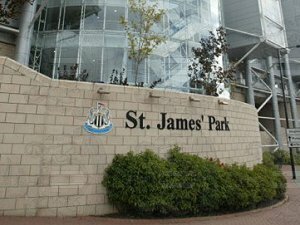 David has said he is thrilled that Newcastle United are back in the Premier League next season. He described the Premiership as the Magpie's 'natural home' and said he had never doubted their return. "I'm absolutely thrilled that they are finally back in the Premier League. It's their natural home and I never doubted they would be back where they belong next season. It was an absolute certainty they would make it back to the Premiership. "They have dominated the league all season. There was never any doubt. It will now take an investment to keep them up there." David has slammed BAE for the way the company handled the bidding for the light tank contract. While David and North-East minister Nick Brown were lobbying hard at Westminster, BAE changed 'the nature of the game'. "They did come too late, there is no doubt about that. It was just on the cusp of the announcement and then out of the blue decided they would somehow create 400 jobs. All along they had told us there would be 270 redundancies and if they got the work they could save 100 of these. "So to come at the last moment when, as far as I'm aware, civil servants had made their decision and to ask of us then to put this to ministers is a bit late in the day to say the least. "We, Nick Brown and myself, made representation and the final decision was delayed but the damage was done, it was too late to change things. "When it all came out it shot the legs from under us, but as a result BAE changed their bid. But it was just too late, they should have been up front in the first place. They have always given us the impression that their jobs would mainly go to Sweden. I just don't think they have helped their own company and they certainly haven't helped the workforce in the way they approached the whole thing. "And it is a bit disappointing that after having a good relationship with them they change the nature of the game right at the end." David says he is confident that the law on drugs will soon be modified. This follows the deaths of two teenagers after using the plant food mephedrone as a stimulant. "This is obviously extremely worrying. It's tragic that lives are being lost. There are these drugs that are not categorised by law and from time to time the law needs to be adjusted. "From time-to-time there are these new developments in law but before a number of tragic incidents it was not known that this drug was dangerous. Now we know, something has to be done sooner rather than later and I'm fairly confident there will be changes in the law soon." David has co-sponsored a Commons motion deploring the notion that state schools should be run for profit. The proposals are based on a Swedish model backed by the Conservatives but David says that future generations should not be exploited by companies for profit. That this House is alarmed by proposals of edubusinesses to run state schools for profit along the lines of the Swedish system supported by the Conservative Party; and while recognising the important role business can play in supporting schools, deplores the notion that the educational needs of present and future generations should be exploited for profit by companies, organisations or individuals. David has spoken of his disappointment at rumours that BAE Systems has failed in its bid to get two major contracts. According to the Financial Times the work is expected to go to American company General Dynamics who will build the army's Scout armoured vehicles. The expected refit of Warrior vehicles is expected to be delayed for a year. This means that the future of the Scotswood Road plant is now uncertain with over 600 jobs at stake. "Myself and Nick Brown have been working very hard for some time on this contract but this is a competitive tender and we can't tell the Government where to put the work. "BAE is an international company. It is not totally reliant on Government orders." David is continuing to make representations in the hope that the rumours are incorrect and work can still be brought to Scotswood Road. David has expressed his disappointment that the rumours are now shown to be true. "Obviously, I am very disappointed that they have lost a contract and very concerned for the future of jobs on Scotswood Road as a result of that. "I am also concerned about the manner in which BAE have handled this situation. They appear to have kept changing their calculations of how many jobs would be saved or lost, plucking numbers out of the blue. "Unfortunately, it is the workers who will now suffer as a result." David has said the North-East must continue to argue for a High Speed rail link. Lord Adonis, Transport Secretary has announced a plan for a 'Y' shaped line dividing at Birmingham with one line coming as far as Leeds. David is anxious to secure the economic benefits for the North-East that a high speed link would bring if the line is later extended up the east coast. This is despite it emerging that Lord Adonis ignored expert advice from HS2 that the economic returns from bringing the line to the North-East would far outweigh the additional cost. "I think we have still got plenty of time to argue our case and that strengthens our hand." 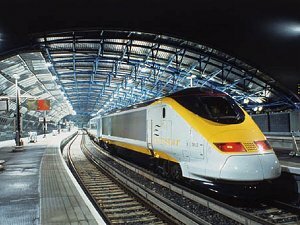 "We have seen evidence from abroad of the massive boost to a city's economy from high speed rail, and we cannot afford to miss out on this. The challenge facing the North East is to ensure we convince any future government that it is vital we secure this investment." David has challenged the Transport Secretary over plans for the A1 western by pass. In the Commons Transport Committee he asked about Highway Agency plans to create three narrow lanes and impose a 50mph limit. "You are aware that we have had this discussion that the Highways Agency now propose that the section of the A1(M) around Tyne and Wear is to be reduced to 50mph in advance of creating three lanes out of the current two lanes, three very narrow lanes." "So people travel from London to Scotch Corner on a normal motorway at 70mph but when they come to the North East everybody is reduced to 50mph." Lord Adonis then admitted he knew nothing of the plans but would investigate. A full transcript of David's points in the committee may be read here. David has called on the government to do more to help pubs and clubs. In a parliamentary motion, he welcomes the efforts to help pubs but says that private clubs such a working men's clubs are also suffering. not least from the taxman! That this House welcomes the appointment of a Pubs Minister to help stem the tide of pub closures; and calls on the Government to extend the remit of the Minister to include non profit-making private members' clubs such as those in membership of the Committee of Registered Clubs' Associations and the Working Men's Club and Institute Union which are at the heart of many communities and which are also suffering from the economic downturn, the negative effects of well-meaning government legislation and the over-zealous attentions of HM Revenue and Customs. David has hit out at plans to restrict lanes and speed on the western by-pass. 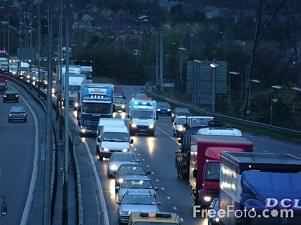 The Highways Agency are thinking of crating three narrower lanes in each direction and restricting speed to 50 mph. David says this is to save money rather than find a real solution. He fears that money to widen the road could be lost if this scheme takes the place of a proper solution. "It seems to me that rather than deal with the traffic flow problem on the bypass, by the obvious but costly methods of road widening and closing certain slip roads, the agency is seeking a cheap solution." "I fully agree that the volume of traffic is far greater than the original design capacity. Indeed, I have been making that precise point for the last 20 years." "I am sceptical that the solution is to impose a speed restriction. 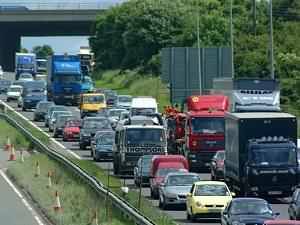 When the traffic flow breaks down during peak periods, traffic is reduced to a crawl and at those times 50mph would remain an aspiration rather than a reflection of reality. At other times, when traffic is flowing freely, I fail to see what positive benefit would be derived from a 50mph restriction. On the contrary, motorists would find it intensely irksome and non-productive." David has welcomed the government's announcement of more trains from the North-East, including a non-stop Newcastle-London service. Transport Secretary Lord Adonis was in the area yesterday to announce this. 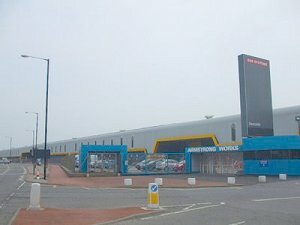 The Newcastle service would be more regular with some non-stop, and there are plans direct trains on the coastal route serving Sunderland and Middlesbrough. "This is very welcome news. This is the first time I can remember a direct services between the two and I'm sure businesses will make the most of this." 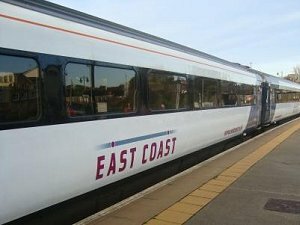 New train operators would be asked to look at the Sunderland service which would be part of a new strict set of rules that bidders for East Coast would have to adhere to. 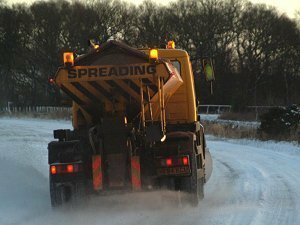 Gritter at work but will the salt last? As salt shortages mean councils have cut back on road gritting, David has said the cold weather was unexpected. Gateshead Council has only a few days supply left with a similar situation in Newcastle, leading to 'emergency measures'. "This cold snap has been completely unexpected and obviously there has to be some emergency measures to ensure major highways are kept open." With the cold weather expected to continue for some time yet, salt stocks are running low and new supplies are being sought.